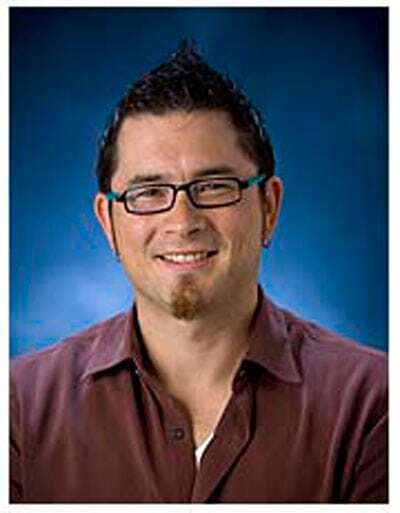 University of Washington/Bothell Campus professor Wayne Au. The Oxford Living Dictionary defines philanthropy as “the desire to promote the welfare of others, expressed especially by the generous donation of money to good causes.” But their definition really ought to include philanthropy’s not-so-benign side. Philanthropy isn’t just expression of public-spiritedness and compassion—if only! Philanthropy also provides a vehicle for exerting personal influence over a community’s collective will and democratic process, an avocation pursued by billionaires that can be corrosive to the organizations, communities, and individuals it targets. This dark side of philanthropy becomes more pernicious as giving size increases and the financial position of recipients becomes shakier. As the public’s concern about the inability of public schools to overcome persistent racially and economically based inequities rose, and school funding became tighter, philanthropists became increasingly influential in shaping the strategies and tactics of school improvement. Their desire to do good is colored by their belief that their wisdom, as successful businesspeople and innovators, is all that’s needed to solve problems. Proudly planting the flag for excessive wealth, they bring the independence of their business careers into what is meant to be the more democratic world of nonprofit organizations and government institutions. This disconnect, according to University of Washington/Bothell Campus professor Wayne Au, is reflective of the disconnection of philanthropic leadership from those served and those providing the services. In a recent interview published by Truthout, he described this top-down approach. In a way, I really see this as a colonizing agenda, in a sense, because essentially what we have are predominantly white, super-wealthy elite philanthropies, like the Gates Foundation, putting these programs into mostly black and brown, working-class communities, right? And it creates this dynamic where you essentially have these rich missionaries saying, “We know what’s best for you and your kids, we’re going to do these things.” Meanwhile, it sort of treats these children, these black and brown children, as experiments, right? And so the power dynamics are really, really skewed. From the perspective of the philanthropist, each investment can stand alone, since, beyond meeting the legal requirements of managing their funds, they are not accountable for the impact or results of the programs they fund. For Gates, along with other major donors, a failed effort can be viewed solely as an experiment that did not pan out. It can be learned from or not, but there is little obligation to remediate any harm they may have done directly or by diverting public funds from other, better uses. Self-interest may also prevent wealthy philanthropists from seeing where real solutions to difficult problems lie. Au notes that educational results are closely connected to larger factors outside school’s walls: “There’s all this stuff outside of schools that account for 75 percent of a test score…we’re talking things like food security, housing security, access to adequate healthcare, dental care, livable wages for their parents; these are the things that actually impact test scores, but this is only if you’re going after test scores as your main measure.” Taking on these larger issues requires a willingness to consider changes that could directly affect the wealth and social position of the philanthropist. There seems to be little desire to go that far, making simpler, albeit less effective, solutions more desirable. With no mechanism for accountability or for public input over what is in the public benefit, big-money philanthropists have little reason to change their approach. Rather, it seems, their belief in their own wisdom and desire for self-preservation is so strong they are ready to defend themselves from further levels of accountability by controlling the political processes that could limit their independence. Lobbying policy makers makes it possible to shape public policy to align with the philanthropist’s personal vision. In a political environment where money is speech, they have the resources to speak louder than those whose lives they will touch through their philanthropic spending. This article reflects upon principals and district administrators with a variety of styles and disparate impacts on the staffs they managed. Lyons points to four difficult administrative styles and four more positive “high impact” styles.